to celebrate her birthday with friends, family and all the extravagance they might muster. The young man who is most often her dashing companion, Rowen Burchette, has told her a surprise awaits her and her best friend, Catrina Hollindale, wouldn’t miss this night for all the world! 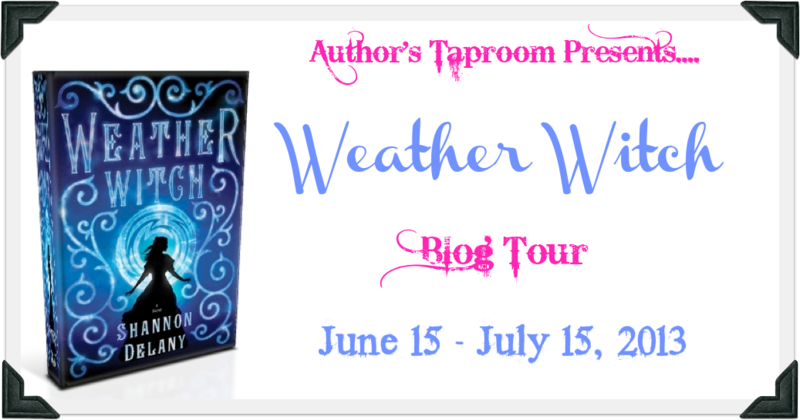 of social sins by Harboring a Weather Witch. 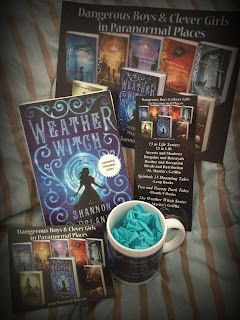 So recently I had the pleasure of reading Weather Witch, and being honest, first I was a bit skeptical, but page by page Shannon Delany and her awesome and imaginary view of Philadelphia earned every bit of my attention. I loved this book, the atmosphera, the characters, the story, I'm sure that you will love it too. So to know a bit more about it and the way it was created Shannon share some of her time with us, and we love her for that. 1.For you, and your writing process, how different was 13 to Life series, from Weather Witch? It was very different because, in order to give proper respect to the time period, I had to do more research throughout the writing and I found it necessary to take a different voice and point of view. After writing 5 novels in 1st person POV, it would have been an easy (and probably lazy) choice to continue a brand new series that way. 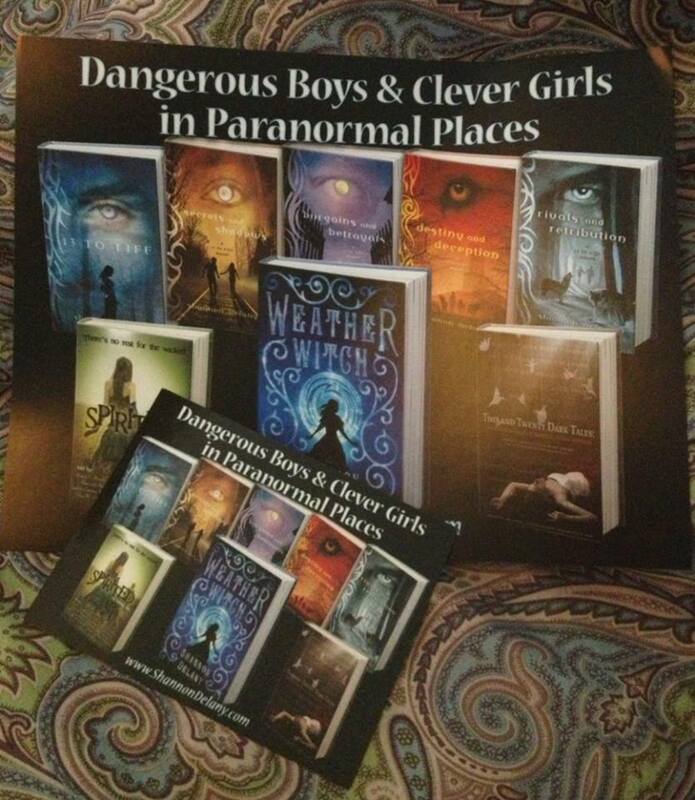 Weather Witch is allowing me to stretch and explore as an author and I appreciate my fans allowing me to do that. 2. Do you think, writing a historical paranormal novel was a risk? If so, why? Absolutely! People freak out when it comes to history. You either risk having readers who will crucify you for taking too many artistic liberties with history (a subject which we are still discovering!) or you risk having readers who don't even pick it up because they think if it's history it has to be boring. 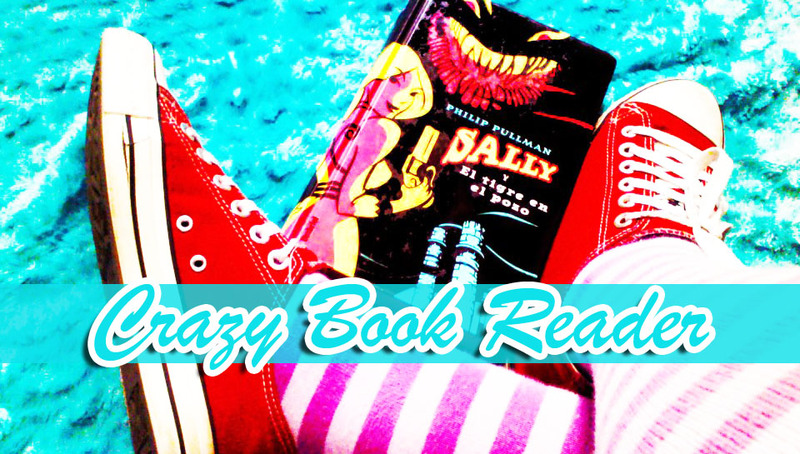 Let's face it: paranormal YA with significant amounts of romance is a safe genre to write in. And I could write it forever. But what would I learn as an artist by doing that? Art is about risk. It's scary but necessary. 3. What novels do you prefer writing and reading, contemporary or historical, and why? I love a little bit of everything and it really depends on my mood. I devour fluffy historical romances but love the spice and speed of contemporaries and the imagination of high fantasy and science fiction. Give me a good character and I'll read anything. 4.I have to say I wasn't a big fan of Jordan, because I felt her like a very spoiled girl, but I feel she will grow a lot more in the next book, did you have any real life inspiration for this character? I believe you don't have to like a character immediately to be able to connect to him or her eventually--to understand their motivation and issues. Yes, there is plenty of real life (and historical) inspiration rolled into Jordan. Jordan's a child of privelege (and few of us can say the same). She's never wanted for anything except her parents' attention (or that of her absentee sisters) until the dramatic end of her seventeenth birthday party. Even then she reacts the way many of us would--with disbelief. She's rattled--stunned. She's sure this shouldn't have happened to her, it'll all be fixed by someone other than her--she's not even attempting to take control of her life for quite a while. In today's society that's hard for us to understand (but historically many women did just this--they waited and held out hope for rescue). Today we're big on independence and being individuals. We think we can fix everything (and often blunder our way around trying). SPOILER: I love Jordan because as much as Bran tries to break her, he fails. It's her breaking heart that Makes her in the end--it's her heart that Makes her head toward her own power. 5. I read a comment of yours a couple of days ago, refering to a surprise Rowen gave to you. How does it feel when you realize your characters are very much alive, sort of? I always think of my characters as living (that's why it's so hard to hurt them the way I have to sometimes). But, because I let them take the lead in my stories it makes the writing far more interactive for me. I basically let them do what comes naturally and I record it as accurately as I can, like a news journalist should. 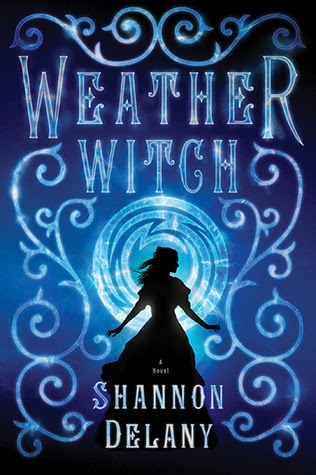 6.I love romance and I miss it in weather witch, are we are going to have a bit more of it in the sequel? If you can't answer this is totally ok, is just big fan curiosity. I knew I was taking a big risk by separating my love birds so fast in Weather Witch (it flies in the face of the romance formula), but Jordan and Rowen wouldn't have had a real chance at growing out of being spoiled and protected except by tearing them apart and throwing them into the real (fictional) world of 1844 Philadelphia and the surrounding areas. I can tell you that in Book 3 there is romance but things for these two aren't going to be easy and in that way they are far more realistic than Jess and Pietr in 13 TO LIFE. 7. I like to question this to all the authors. What is the best moment for you, while writing a new book? The actual writing--when you're zipping along throwing words on paper and seeing through another character's eyes and then BOOM they change everything and you not only discover something about them, you also learn something about yourself. It's the act of discovery that's inherent in the writing process that I love most. 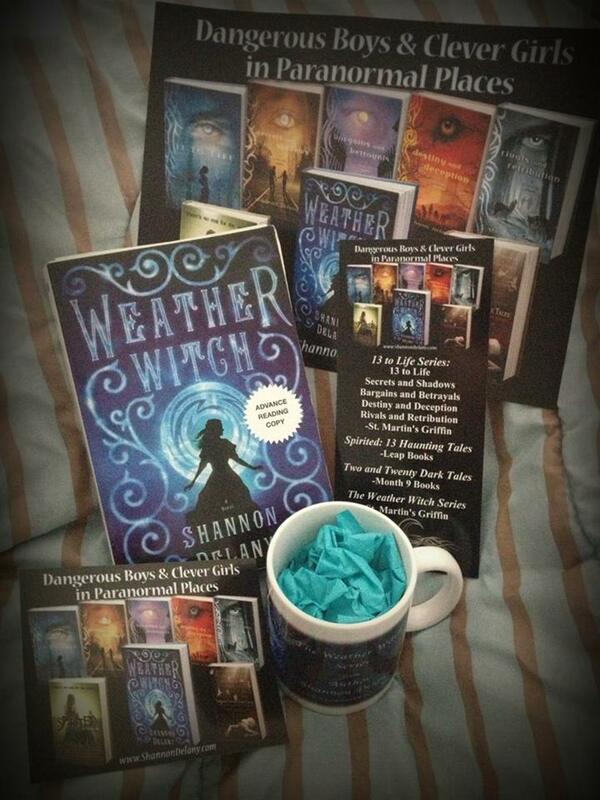 Crazy Book Reader will like to thank very very much to Mrs. Shannon Delany for her kind generosity and share her time with us. Shannon Delany has always been surrounded by books! Her aunt was a head librarian and her father was always trying some new creative endeavor. She grew up with a fierce love of history and studied social studies education and foreign language and culture in college. After substitute teaching in every grade level and subject area in Pennsylvania and Maryland she taught for five years in Florida and then moved back north to be around family. 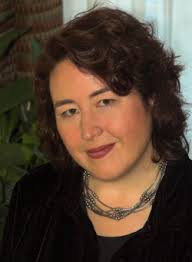 With the birth of her son she decided to become serious about writing and worked freelance jobs until she landed a contract with St. Martin's Press for the 13 TO LIFE series--all because of a contest one critique partner warned her against! Don't leave... first enter our giveaway for the chance of winning amazing prizes and goodies!! 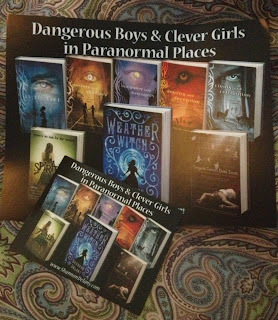 Also for the chance of winning a autographed POSTER and POSTCARD, you just have to comment on this post leaving your contact info, this is open INTERNATIONAL.